Canada's best bathroom is in the place you'd least expect it. The restroom at the Valleyview Shell Super Station – a massive truck stop in a tiny town about 350 kilometres northwest of Edmonton – has been voted the winner in Cintas' Canada's Best Restroom Contest. According to the contest website, this unsuspecting loo was awarded the 2010 top honour by Convenience Store Magazine for its geo-thermal heating and cooling technologies. And with its solid adler wood stall doors, tiled walls and sparkling Victorian style semi-flush mount chandeliers (yes, seriously) this luxurious washroom blows away any horror movie/pornographic movie-type notions typically associated with gas station bathrooms. “The cleanliness and energy-saving design demonstrates how the staff at Valleyview Shell Super Station goes above and beyond to appeal to their customers,” said Cintas’ Senior Marketing Manager Leslie Molin. According to store manager Blake Sparks, the spotless bathrooms are good for business. “Customers appreciate that they can count on us for a clean place to stop and use the washroom,” he said in a press release. 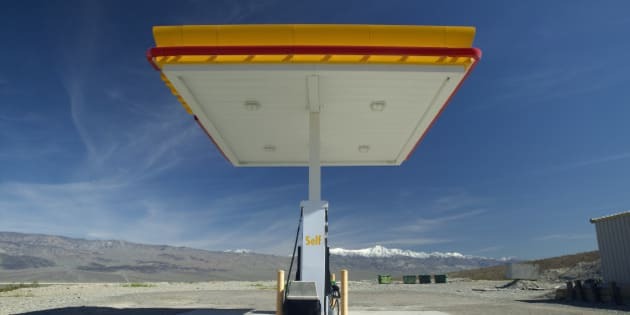 The Valleyview Shell Super Station beat out two B.C. restaurants and two Toronto food establishments in the top five. David Morris Fine Cars Ltd., in Edmonton, was the last Alberta establishment to be honoured with a nomination in 2011, but was bested by a Toronto eatery. Finalists were selected based on cleanliness, visual appeal, innovation, functionality and unique design elements. Thousands of votes were cast online.